Condominium sales are on the rise, as urban professionals tired of paying high rental rates look to purchase their first home and with Baby Boomers increasingly choosing them for retirement. In fact, though they were hit the hardest by the housing bust, they are rebounding more quickly than any other type of housing. 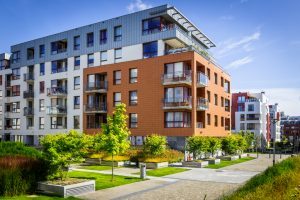 Why are so many Americans choosing to purchase condominiums? They’re a smarter financial option than renting. Condominiums can offer the first step into homeownership as they are often priced lower than single-family homes and are the perfect low maintenance choice for many urban dwellers. Apartment rental payments and monthly mortgage payments on a condo are often similarly priced, so for those who can save for the down payment and qualify for a loan, there can be many benefits. They’re low-maintenance. For those who don’t want to have to worry about the repairs and maintenance commonly associated with homeownership, a condominium is an excellent option with the added benefit of more free time to do things not related to home maintenance. They offer amenities. From pools to fitness centers to clubhouses to parking garages, condominiums provide the kinds of amenities people want. In many cases, condominium living can enhance social life with planned activities, from classes to barbeques to movie nights and more. The above factors are true of condos in every location, but what’s beneficial about urban condominiums? There are actually several aspects that appeal to modern consumers. High walkability and bike-ability are extremely appealing. Millennials and Boomers alike want communities in which they can walk and bike to stores, restaurants, and more. Often located in downtown neighborhoods, condos make it easy to get out and about. Urban condos are often close to public transit. Even the destinations that are not reachable on foot or by bike are easy to reach when public transit is nearby. Buying in the city can make it more convenient to get to work. Whether you’re using public transit or getting there by bike, on foot, or in your car, being closer to work means a shorter commute and a higher quality of life. City life offers a wealth of opportunities. Vibrant downtown areas have destinations like restaurants, shopping, theaters, and more, which makes them an extremely appealing place to live. Smart developers can create opportunities for themselves by planning a marketing strategy that appeals to Millennials and Baby Boomers alike. Doing that means understanding the needs and wants of your target market from first-time buyers to empty-nesters looking for a vibrant second act. A successful real estate marketing strategy requires information, insight, and the experience to make it all come together. SagePoint understands the ins and outs of property development marketing, and our experience keeps you at the forefront of the industry, with the professional marketing, sales and advisory services you need to stay on top. When we’re part of your project from the very start, you can expect your property to be positioned, designed and built to target your market and maximize your returns. To learn more about our services, please contact us online or email us at inquiries@sagepointre.com.